UMP | University of Minnesota Press Blog: Mourning what matters: On David Bowie and Laquan McDonald. 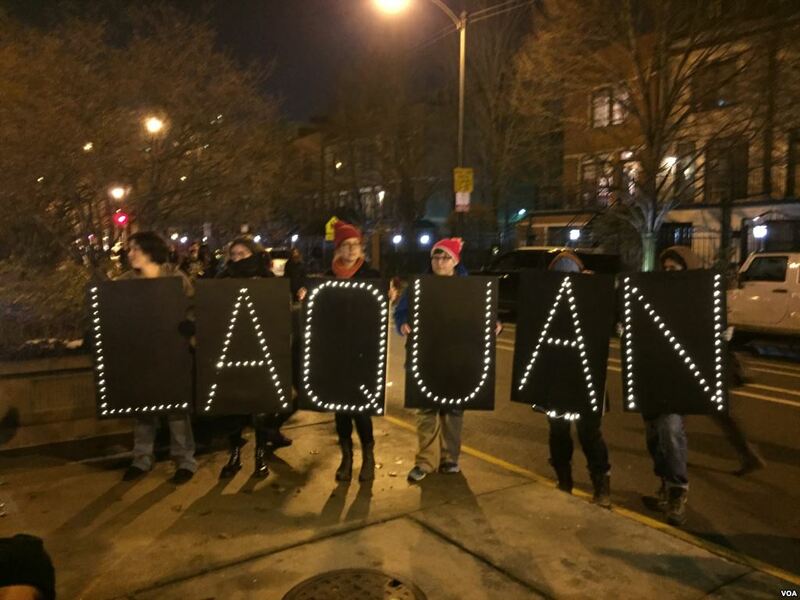 Mourning what matters: On David Bowie and Laquan McDonald. It seems everyone I know—and I mostly know a lot of aging, white, GenX hipsters—spent January 10th “mourning” David Bowie. I put it in quotes because I’m not sure we know what mourning really is. Or because what we did the day the news broke about Bowie’s death, in the semi-private headspace allotted by social media, on our phones or at our computers—maybe this needs a different name besides mourning. Whatever it was, the centerpiece became the two videos Bowie had released just before he died, Lazarus and Blackstar. The videos read like goodbye letters, because Bowie had known he was terminally ill when he made them. You may have watched Laquan McDonald die sometime in the last months of 2015. He was the seventeen-year-old boy who was shot by Chicago police in 2014; after a long litigation that revealed an apparent cover-up by the police and city government, dashboard camera footage of the shooting was made public in late 2015. McDonald walks jerkily away from the camera, hitching up his jeans. Then he drops, as police in the left of the frame empty their guns into him. His arm moves, and then it stops. The video is longer, but you probably saw it played in a loop: the boy’s quick, slightly manic pace at an angle away from the camera, headed for the sidewalk. The unconscious twitch of his hands at his hips as he pulls up his pants—awkward and boyish but also afraid. Maybe he is remembering that black boys with baggy pants are called gangsters and thugs. You see him walking and fearing and wanting out with every step, until he drops. Not falling, not staggering back, but dropping. I lost count after five loops in a single segment of the NBC Nightly News. Two deaths, two bodies, two corpses. Two images that have become afterlives. McDonald’s death is real, but not gory or explicit. The image proves André Bazin’s point that the power of the photographic image comes from its process of becoming, rather than the fidelity of the end result: to watch McDonald die is to intrude upon the most singular and private of moments, to see time itself in motion. To watch it in a loop is to experience the sickening vertigo of an unnatural intimacy, a pornographic approximation of the intimacy of witness. Meanwhile, Bowie’s death in Blackstar and Lazarus is a shamanistic high-definition evocation, but not the real thing. With their imagery of illness, death, resurrection, and effigy, the videos only reinforced the notion that Bowie was indeed a “star man” who had been called back to his forever home on Mars. Blackstar isn’t a gravestone, but an empty casket. I think mourning is care work that happens over and among real bodies, and what we as a public have, in both cases, is only the image of the body. As care work, mourning is feminized, in the sense that it is both associated with women and done by women. Widows are defined by the departed, expected to work to tend his memory, and often discouraged from remarriage. In times when death and mourning were more closely interwoven with everyday life, women sewed burial shrouds, washed corpses, and plaited intricate mourning brooches out of hair. Women sat for photographs with their dead children; their tears were social in that they carried the burden of a shared emotion. The difference now is that death has been banished from our everyday lives. It’s not only that we tend to die less often of illness or accident and more often of diseases like cancer or heart failure, though this is true. Corpses have been banished from our homes. Their care now falls to licensed professionals who embalm in funeral homes where the laboratory underground is concealed from those who visit the dead in the parlor-like hush of the viewing rooms. 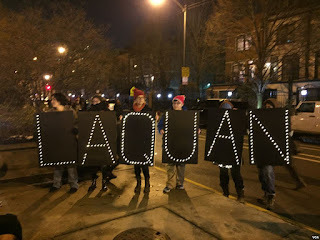 A November 2015 memorial to Laquan McDonald in Chicago. In this context—of the disavowed and yet crucial work of mourning as care—it is clearer how much was at stake in the public release of the video. McDonald’s mother, Tina Hunter, had already settled with the city of Chicago and did not want the video released. It wasn’t until a journalist sued the city for the release of the video that it became public, months after the settlement. We can’t know for sure, but one possibility is that Hunter did not want the world to see her son like that. Yet the context of the situation demanded witnesses, demanded justice—and that ultimately trumped her rights as a mother to mourn how she liked. This compulsive visuality where privacy must give way to juridical or even ethical exigencies stands in stark contrast to Bowie or indeed most celebrity death. This contrast is one way of understanding how the work of mourning figures into structural inequalities like racism and sexism. Bowie’s death was private, even though his celebrity would have made that privacy difficult and probably expensive to maintain. He was at home, surrounded by loved ones. And he was prepared: he said goodbye not only to his family, but to his fans as well. McDonald’s family expressly requested the video of his death not be released; Bowie lived just long enough to release his own posthumous work. Bowie’s family mourned him: they held him one last time, they got him ready to go. McDonald’s body was state’s evidence, one of many black boys shot in the street that year, and his family was not able to mourn his passing as it happened. It also might help explain why the public mourning of Bowie’s passing was actually a denial of death, a mummification. Mourning is a privilege extended to those who are allowed full occupancy of their bodies. More explicitly, mourning is effaced care work done by women or other feminized and disavowed people, and they are allowed time and privacy to grieve only when the bodies they mourn are considered worthy. Even the ‘mourning’ that my friends and me did for Bowie was time snatched away from employers and life worlds. If you are a working mother in the South Side of Chicago, if you need to take a day and just cry, you lose your job. Let alone if it takes you more than a day or a month or a year or a decade to get over the loss of your child. When I think of McDonald, I think of his mother. I think of how women’s bodies must somehow make and do in a system that fundamentally estranges them from themselves. The same law that dictates we all must die still dictates that only women can bear children. After that—after the body has been taxed to its limits by the strain of creating another life—there’s all the work of making a family. I know, I do this work—and I’m a white middle-class professor who has loads of help. I’m not a single black mother who is battling with the foster care system to keep her family together. When women do the work of giving birth to and caring for children and of nursing the sick and the elderly, their bodies become a site of another kind of logic that exceeds wages and value. They do this work, and yet they must live in a world that disavows or silently appropriates it. Here I am nurtured by their bravery and I am heartened by the slender ties of kinship and love that might build a different world. Tina Hunter’s grief is a part of that fragile web. And that loop of her son dying tears at it, even as it seeks justice for his murder. If David Bowie’s Blackstar is a monument to death in the age of the image, let Laquan McDonald’s legacy be a vision of its undoing. Work to recognize his loss in the same register of material care that was precisely unintelligible to his murderers. Instead of watching that video of him again, think about his mother holding him, and how she might have liked to hold him one last time, away from the morgue, before the city took his body and autopsied it, and held it as evidence. One example is the die-in staged by Chicago protesters at City Hall. The vulnerability of that physical pile of bodies indexes the care and reverence for human life that was so woefully disrespected when McDonald and so many like him were murdered. It brings death and grief back into the conversation, making a space for the dignity of loss. This is a way to let death live so that grief may be a site of resistant meaning-making for the living. 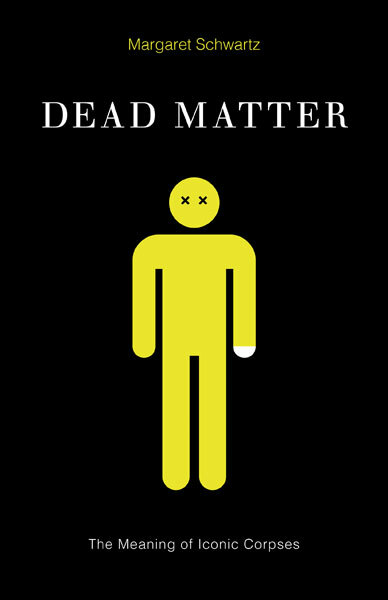 Margaret Schwartz is author of Dead Matter: The Meaning of Iconic Corpses. She is assistant professor of communication and media studies at Fordham University.